There’s something cumbersome about filling a bulky pot with water in the kitchen sink. But now you don’t have to! 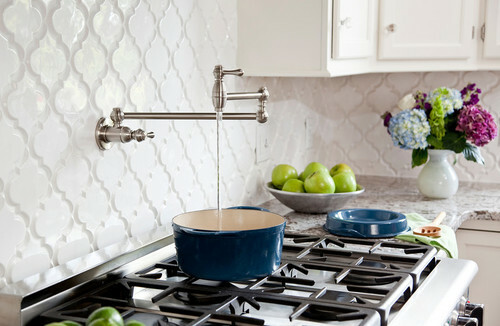 Pot fillers are brilliant little faucets installed right above your stovetop for easy fill-ups—and they make pasta night extra convenient. 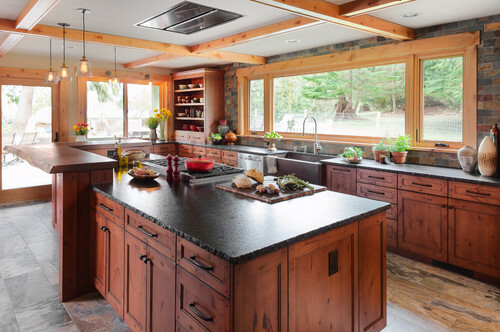 White kitchens are wonderful—but warm wood and soothing stone makes for a naturally rustic kitchen. Create a Tropical Escape in Your Own Bathroom! Lounge under the palm trees while you soak in the warm water—of your bathtub, that is. 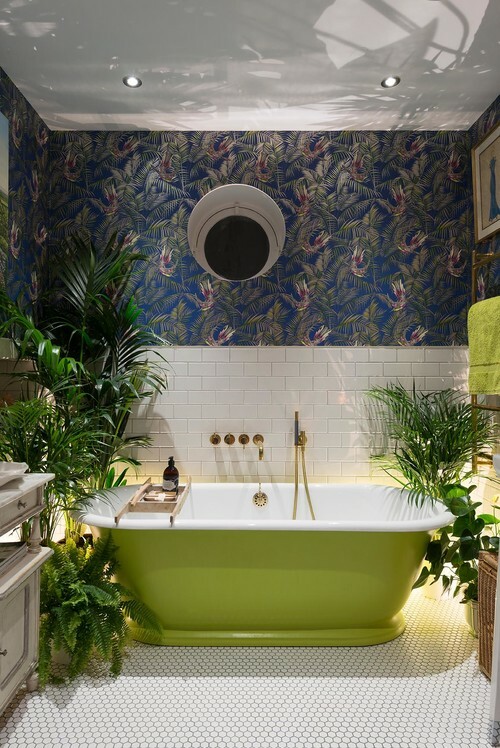 Surround your tub with green plants and tropical-themed wallpaper for a relaxing escape every day. Swings and summertime…is there anything better? Instead of the run-of-the-mill porch swing, swinging daybeds offer ultimate summer relaxation. Warning: these comfy swings may result in long naps in the sun. Buttermilk is the flavor of the week in the world of colors. This hue is more inviting than white but softer than a pastel yellow. 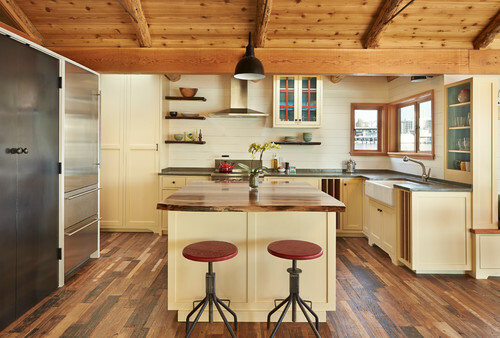 Perfect for the kitchen—or almost any other room in the home when paired with wooden trims and accents.